How are you doing? How was your weekend? Mine was good. I pretty much relaxed all weekend. It's the last week of October and I still can't believe it. 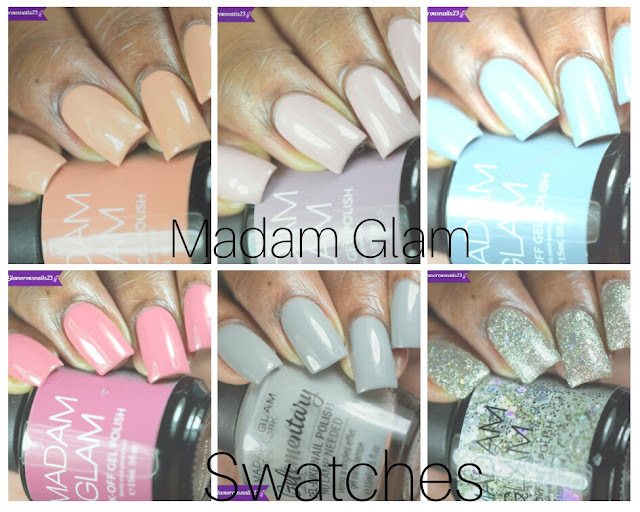 Well today I'm back with another dupes post for you! 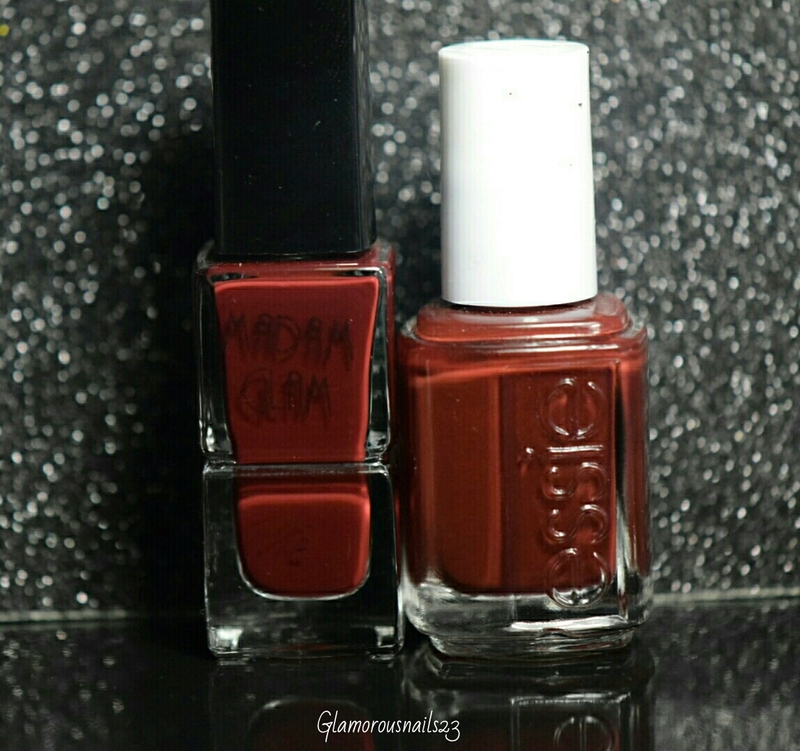 Going head to head today will be Madam Glam High Standards and Essie Chocolate Kisses. In the bottle they look completely different but let's take a look at how the look on the nail! 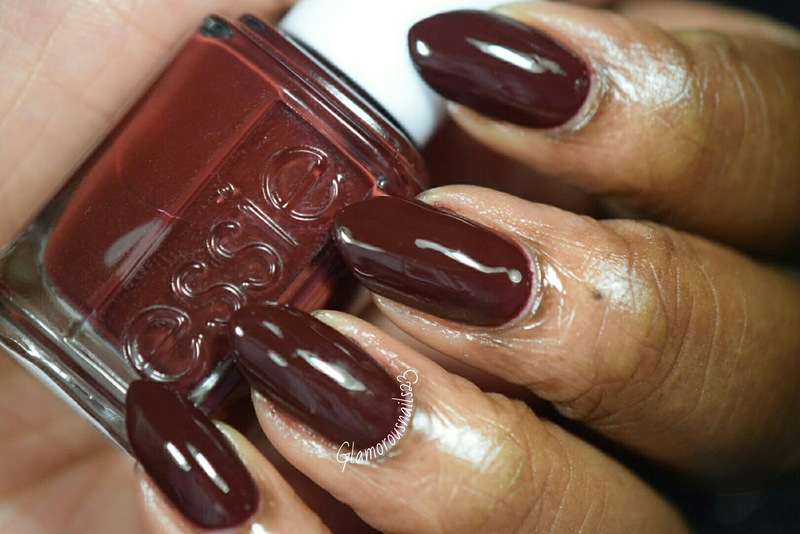 Essie Chocolate Kisses is a red based brown cream polish. This is a beautiful color for fall but the formula on this one was just okay. The first coat was very sheer and with the second coat there were some bald patches. By the third coat Chocolate Kisses was fully opaque. 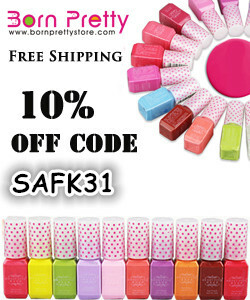 You can find my full review of this polish here. Shown is three thin coats with a top coat. 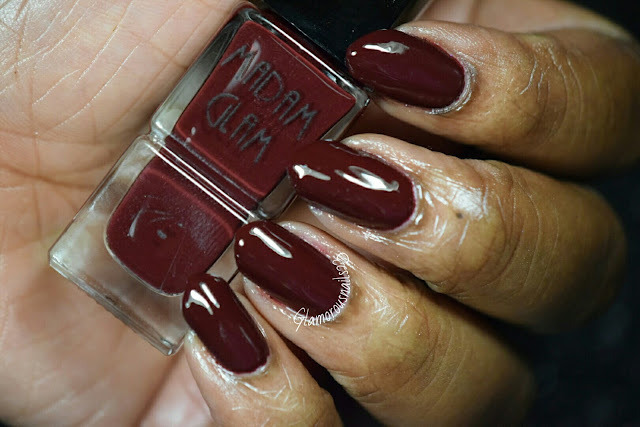 Madam Glam High Standards is a deep vampy red creme polish. I am just loving this color. The formula was exceptionally good on this one. I had no complaints at all! High Standards is smooth and just glides onto the nail. My full review of this polish can be found here. Shown is two thin coats with a top coat. Now the question is are these two dupes? High Standards and Chocolate Kisses aren't dupes although they are very very close in color! Do you need to have both of these? Not necessarily seeing as they are very close in color. 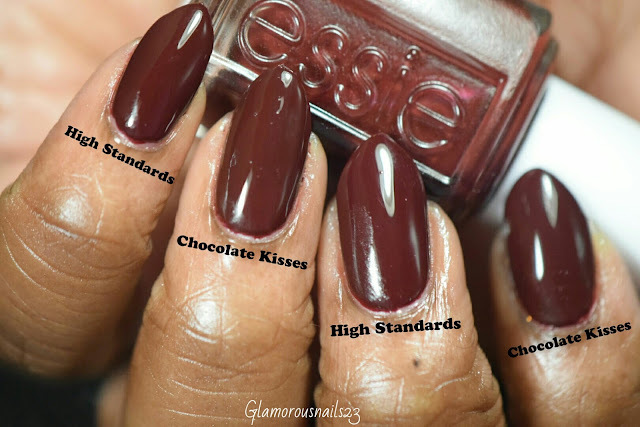 I would definitely choose High Standards though just because it had better formula than Chocolate Kisses and was easily applied in two coats. Do you own either one of these polishes? Do you like colors like these? Which one would you prefer? Let's chat down below!